A wrinkle is a fold, ridge or crease in the skin. Skin wrinkles typically appear as a result of aging processes resulting in skin quality deterioration, repetitive muscle action (such as facial mimicry), or deflation due to volume loss (massive weight loss, or subcutaneous fat and bone loss due to aging). Occurs with sun damage, repeated exposure to wind and cold / heat, smoking, poor hydration. Eventually causes wrinkles on forehead, around eyes, and other areas involved in facial expression. Volume loss due to (age-related) loss of bone, or subcutaneous fat, will cause deeper folds and gravity-related descent of soft tissues. Successful treatment of wrinkles depends on understanding all aspects of the cause of these processes, and addressing each aspect of the formation of wrinkles. Although we are not able to completely turn back the processes of aging yet, each of the causes of skin aging and wrinkles can be addressed, with a resultant rejuvenation of skin and overall appearance. 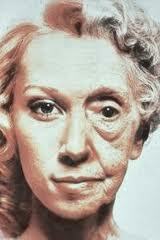 Treatment of skin quality deterioration is a multi-faceted process. – Maintenance with various skin care products that nourish the skin and help combat oxidative / free radical damage. This is achieved with a targeted use of Botulinum Toxin products such as BOTOX, to control dynamic wrinkles that result from certain overactive facial muscles. These treatments typically make you look more rested, relaxed, and happier. 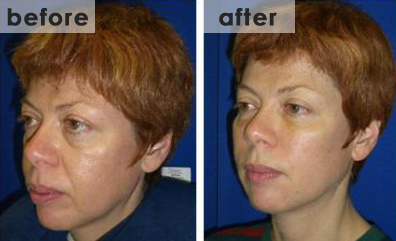 This is often achieved with the use of soft tissue fillers. Fillers are a variety of medically approved substances that are injected into specific regions of the face in order to replace the volume lost through aging or other processes. By replacing volume in critical areas, fillers serve to provide structural support, helping to reverse the descent of tissues that results from deflation and gravity. Fillers also nourish the dermis, often restoring it’s health and allowing the skin to stay healthier longer. All these factors combine to improve the youthful appearance of facial skin and contours. There are a number of fillers available on the market today. 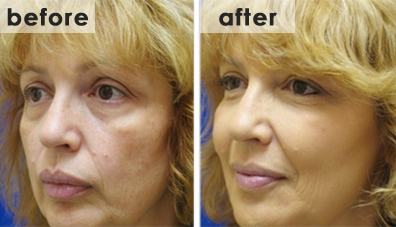 Some fillers provide results that last 3-9 months, while others provide results that can reportedly last 18-24 months. There are also fillers available, that are designed to last permanently, but those have to be used with caution as facial structures will continue to change with time, and the fill that was suitable at one time may no longer fit the face that evolved with progressing age. Some examples of fillers include Juvederm – Voluma, Ovita, Radiesse, Sculptra, and Restylane.